Mold Remediation is the cleanup and/or removal of mold from an indoor environment. A professional mold remediation service comes in and prepares a mold assessment by initially determining the magnitude and location of the mold hazard. Sinus and nasal congestion, runny nose, difficulty breathing, watery eyes, rash, eye irritations, sneezing, headache, throat irritation, cough, chest tightness and asthma. It is very important to call on the help of a mold remediation service at the first notice of mold in either your place of work or home. 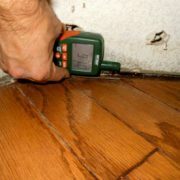 This team of experts will first help make an assessment to identify if you have mold present. They do this by visually examining your premises. 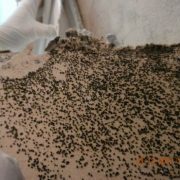 If mold is visible and present, they will decide on the right plan of action that is necessary to solve your problem. They will provide non-intrusive methods to assess the odor causing and visible molds, however; there will likely be more intrusive method needed to reveal the true amount of mold contamination you have. The mold remediation service may physically lift and move furniture, remove carpets, check out ventilation duct work, check behind woodwork or wallpaper and more to determine your level of mold contamination. Their inspection will primarily focus on determining how to correct your moisture problem and removing it effectively and safely. 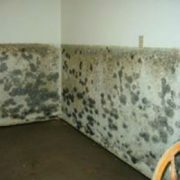 The mold remediation service will solve your mold problem by stopping the molds source of moisture. They will then extract the mold. One of the advantages of using a professional mold removal company is that they will provide you with details on effective ways to prevent mold growth such as improved insulation, ventilation, heating, dry fog, and air conditioning. If you are in need of a mold remediation service, call a certified company as soon as possible to shield the ones around you. Delaying too long can cause property damage, but more importantly, can pose a serious health danger to you and others. Call and schedule a time for certified and trained experts in mold removal to come by your home or business and make a thorough evaluation of the premises. Is Toxic Mold Causing You to Have Sick Building Syndrome?